For the past three years, Albion’s first October weekend has been filled with music. Over 40 singer-songwriters, bands, choirs and musical community groups converge in Albion for Walk the Beat. In 2016, Walk the Beat came to Albion with the help of community members, including Albion College chemistry professor Cliff Harris. Since then, one “Best Act” has been chosen each year by concert-goers who vote for their favorite band or artist. The prize for winning Walk the Beat is 40 hours of recording time with producer Bill Chrysler of Third Coast Records in Grand Haven. Chrysler has worked with artists like John Mayer, Christina Aguilera and Maroon 5. The “Best Act” also receives the opportunity to perform at a paid celebratory concert in Albion. The past three years’ winners of “Best Act” responded via email about where they came from, how winning Walk The Beat has helped them in their musical careers and where they’re headed. When Garland was 11 years old, she picked up her first musical instrument: an alto saxophone. At 13 she started playing piano. Since then, she’s picked up guitar, bass and drums as well. She sings, too. Then, at 15, Garland was voted “Best Act” at Walk The Beat. Winning Walk The Beat itself proved to be just as important as the prizes that came along with it. Winning the event gave her confidence, she wrote, especially when playing alongside others. Garland — originally from Battle Creek — finds inspiration in two of the household names of pop and rock: Queen and Prince. “I love Prince because he can play all these instruments and record his songs by himself,” she said over email. Since winning Walk the Beat, Garland—who is now a first-year student at Albion College—has returned to Albion multiple times, playing at Albion Malleable Brewing Company and Blues at the Bohm (held the first Monday night of each month). Garland spent a day recording at Third Coast Records,where she recorded her original song, “Some People,” which can be heard on her website. Garland plays shows every Friday and Saturday at JB’s Whiskey in Battle Creek from 8 to 10 p.m.
Chris Canas’ story begins in his grandmother’s garage, where he found his first guitar. Part of that history is the way Canas integrates emotion into his music. The honesty in Canas’ song-writing partly comes from his various musical inspirations. Canas watches and listens to a diversity of musical influences to keep his music fresh. Inspiration does not only come from music for Canas. Rather, he finds inspiration when watching stand-up comedy and movies, and when he plays video games and sports. 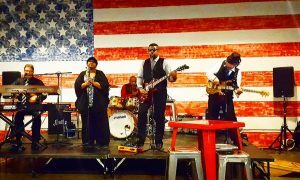 The Chris Canas Band is composed of Canas on guitar, Angela Cottingham on percussion, Michael Scott on drums, Chris Nordman on piano/Hammond organ and Derek Washington on bass. All but Scott sing on the records and in concerts. The Ann Arbor-based band is almost finished recording at Third Coast Records, with the resulting music set to be released later this year. Find them performing live at the February edition of Blues at the Bohm on Monday, March 4, or the first weekend in May at the West Branch Blues Festival. Detroit-based music is often associated with Motown, Eminem or The White Stripes. Folk-pop might not come to mind, but that’s exactly what Emma Guzman is doing. 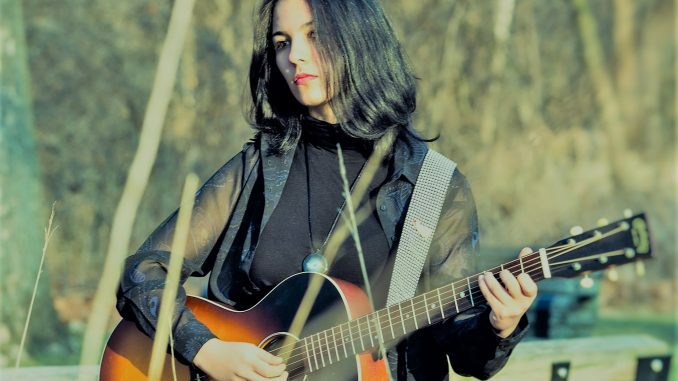 Guzman, a junior at Fraser High School in Fraser, Michigan, finds musical inspiration for her “laid-back and acoustic” music comes from the city she lives near: Detroit. 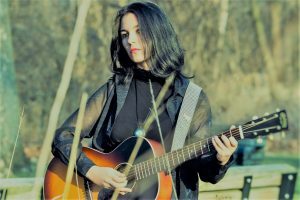 Although Emma has not started recording at Third Coast yet, she says the experience of winning Walk the Beat has been extremely important to her musical endeavors. Guzman will perform at the 2019 Quicken Loans Winter Blast at Campus Martius Park in downtown Detroit on January 27. Guzman will also play a set at Albion Malleable Brewing Company on March 19. Evan Rieth is a mustached milkman. A senior at Albion majoring in Environmental Studies an English, you can find him milking cows, riding horses, and searching for the perfect chocolate chip cookie recipe.